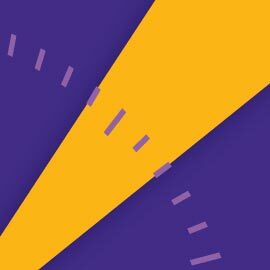 WATERLOO – Wilfrid Laurier University is again challenging graduate students to explain their complex academic research using plain language and in only 180 seconds at Laurier`s annual Three Minute Thesis (3MT®) competition March 19 in the Paul Martin Centre on Laurier’s Waterloo campus. Thirty masters and doctoral students at Laurier will compete in this international research competition where participants have just three minutes and a single, static PowerPoint slide to present their research to a panel of non-expert judges. The judges will select a winner based on how well the speaker communicates with and engages their audience members, who have little to no prior knowledge on the subject matter. This year’s judges include: Peter Braid, Member of Parliament, Kitchener-Waterloo; Gary Edwards, chief customer officer, InMoment; Megan Harris, director, communication and marketing, City of Waterloo; and Tamas Dobozy, associate professor of English at Laurier and award-winning author of Siege 13. This year, 3MT® research topics come from disciplines ranging from history and social work to psychology, business and chemistry. Winners of the 3MT® will receive $2,000 in cash prizes and first place will represent Laurier at the Ontario 3MT® competition at Western University on April 23. Laurier’s 3MT® competition will be held March 19 from 9:30 a.m. – noon in the Paul Martin Centre on Laurier’s Waterloo campus. The event is free and open to the public. For more information visit the 3MT webpage. The 3MT® competition was first held in 2008 at The University of Queensland in Queensland, Australia. It has since spread to 12 countries including Canada, Hong Kong, New Zealand, the United Kingdom and the United States.